Duty, honour, loyalty. What meaning did those words still hold in the midst of a stalemated interstellar war where the difference between the enemy and one's own leadership was sometimes paper thin? 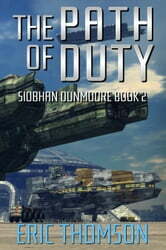 Unfairly relegated to punishment duty far from the battle lines and still pursued by her past, Siobhan Dunmoore was ordered to sail her ship deep into pirate-infested space on a quest to restore the Navy's reputation after she failed to stop an attack that destroyed a civilian freighter. There, she hoped to find clues that might absolve Stingray’s crew from blame but instead, she was sucked into a vortex of intrigue and treachery that threatened not only all of their lives, but the future of the embattled Commonwealth. 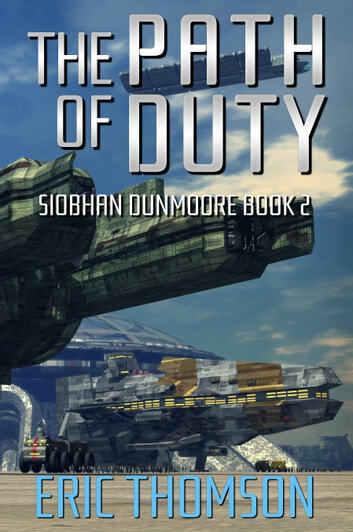 In the midst of competing schemes for supremacy, fending off marauders, mercenaries and spies, Dunmoore had to find a way to get her people home safe and beyond the reach of powerful cabals that had burrowed their way deep into the heart of the Admiralty. If her ship was to survive, she had to find the path of duty, no matter the personal cost, even if the price she had to pay was her own existence.